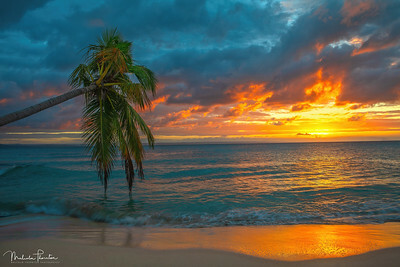 A beautiful quiet sunset on the north beach of Cayo Levantado, which is little Island situated just off the East Coast of the Dominican Republic in Samana Bay. 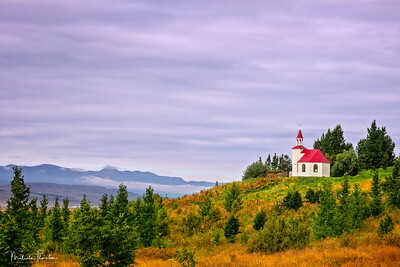 Built in 1896, Silfrastaðirkirkja is an example of much of Iceland's Christian heritage. Beautifully constructed small churches located on stunning landscapes, from coast to coast, in every small community. 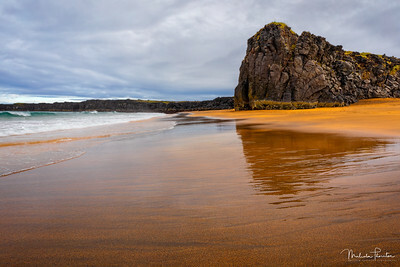 In stark contrast to the majority of black sand beaches in Iceland, Skarðsvík, secluded in the northwestern tip of the Snæfellsnes Peninsula, resembles a Mediterranean shoreline with its beautiful turquoise waters and golden brown sand. Skarðsvík can be quite aggressive and even dangerous when high tide and strong winds play together and anger the Ocean; however, I was very fortunate as I was able to capture the beach on a beautiful calm day at low tide. 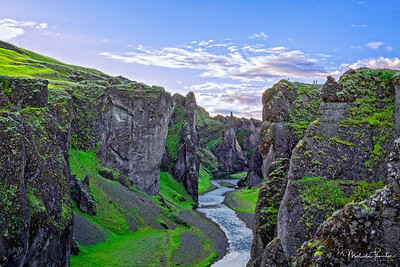 Fjaðrárgljúfur is a magnificent and massive canyon spanning about two kilometres long and 100 meters deep. 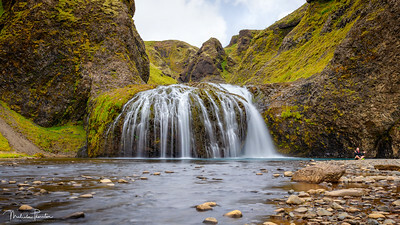 Located in Southern Iceland near Kirkjubæjarklaustur, Fjaðrárgljúfur is a little hike to get to, but it is well worth it. On the upper right hand side of the image stands a couple of people which give perspective to the magnitude of the canyon. Created by a large basaltic lava fissure eruption 2300 years ago, the beautiful eutrophic Lake Mývatn, in Northern Iceland, is home to a vast array of waterbirds. 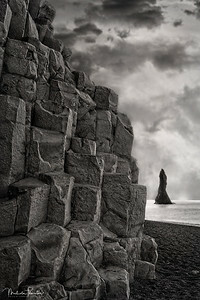 This image was taken from the west bank of Slúttnes Island looking out to Vindbelgjarfjall Mountain. 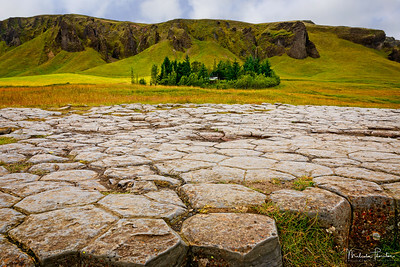 Just north of the Malarrif Lighthouse in Snæfellsjökull National Park ( West Iceland), stands the highly textured Purkhóll Crater, which is set against a foreground of the bright green and yellow moss covered Drangahraun Lava Fields. 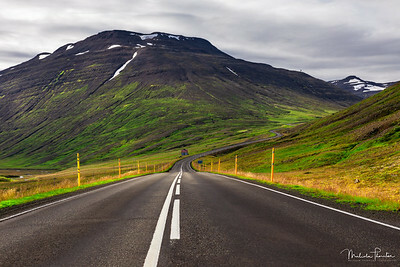 Route 1 or The Ring Road is the major national road of Iceland. 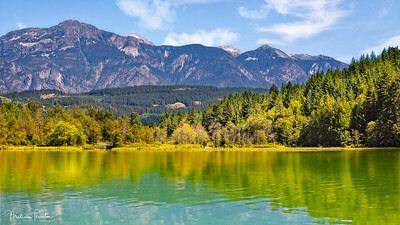 The 1,332 kilometres (828 mi) road weaves around the perimeter of the country playing host to an amazing array of landscapes and connecting the vast majority of the inhabited areas. This image was taken approaching Gloppufjall in northeast Iceland near Hörgársveit. 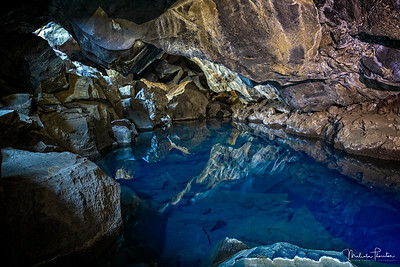 The Grjótagjá Cave in Lake Mývatn of Iceland was once the home of outlaw Jón Markússon in the early 1700's. This lava cave and hot spring with its ethereal otherworldly beauty also played host to the Game of Thrones love scene between Jon Snow and the wildling woman Ygritte, where Jon Snow ‘proves’ his abandonment of the Night’s Watch by consummating their relationship. 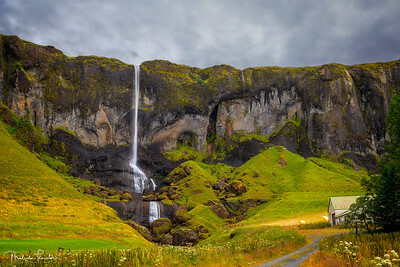 Located on the outskirts of Kirkjubæjarklaustur Iceland, flanked by rugged volcanic hills, flows the scenic Stjórnarfoss Waterfall. The falls consist of a cascading river which rumbles 40-feet down an inclined ramp of volcanic rock, followed by a 38-foot drop that plunges over a ledge of basalt rock into a beautiful blue pool. With a drop of only 12 feet, Urriðafoss is not as an impressive site compared to some of Iceland's other waterfalls. 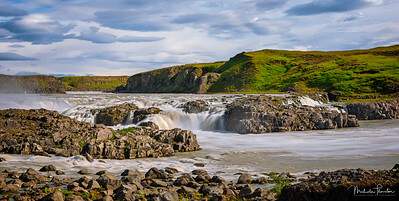 It is however, one of the largest waterfalls by volume, as the falls stretches across an expanse Iceland's longest river, the Þjórsá. Vibrant moss covering an enormous Lava field near Grindavik, Southern Iceland. 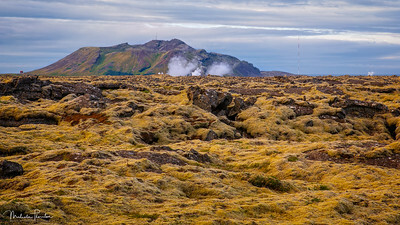 In the background is Keilir and Thorbjorn Mountains, with steam rising from the Geothermal hot springs of the famous Blue Lagoon and the Svartsengi Geothermal Power Plant. These hexagonal like tiles look every bit as if they were man-made, but they are a completely natural phenomena. Kirkjugólfið or ‘The Church Floor’, is an 80 m² expanse of columnar basalt stone slabs which have been eroded and shaped by glaciers and waves. An adventurous selfie taken from the very top of the Valahnúkamöl Ridge in the Reykjanes area of Southern Iceland. 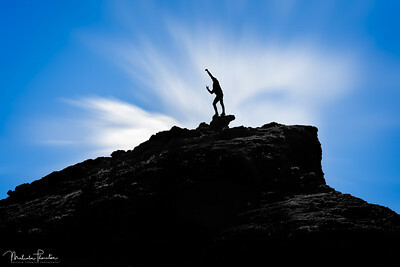 Hidden from view is the steep drop into the treacherous high waves and crashing surf of the Atlantic Ocean below. 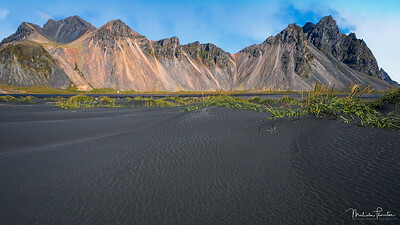 Vestrahorn, on the Stokksnes Peninsula, is one of the Iceland's most breathtaking mountains. With peaks reaching up to 454 metres (1490 ft), steep cliffs rising from the sides of a beautiful lagoon, and stunning black sand beaches all around, Vestrahorn has become of the most photographed mountains in all of Iceland. 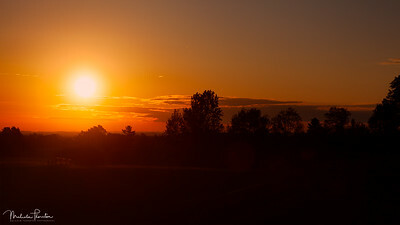 Beautiful early morning summer sunrise in my home town of Port Perry, Canada. 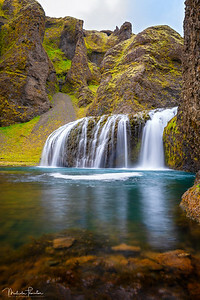 Foss á Síðu is one of the most photographed waterfalls in Iceland, with the river Fossá dropping 30 meter over a basalt rock cliff. The area is thought to be the dwelling place of some of Iceland’s ‘hidden people’, and according to a local folklore story, home to a rare kind of ghost that wanders around the 9th century farm. The ghost of a dog named Móri, who carries with him a nine generation curse that was directed at the occupant family in the 16th century. Driving home from Algonquin Park I came across this stunning field of brilliant yellow Canola blooms. 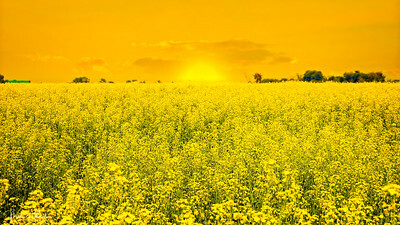 Canola seeds are used to produce cooking vegetable oil. 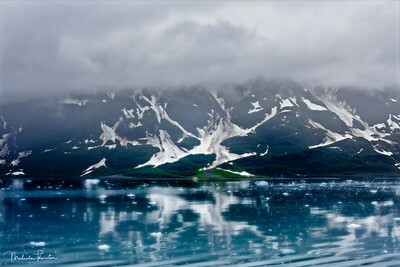 Blue ice filled glacier waters of Disenchantment Bay, fronting the majestic snow-capped Puerto del Desengano Coastal Mountains, Alaska. 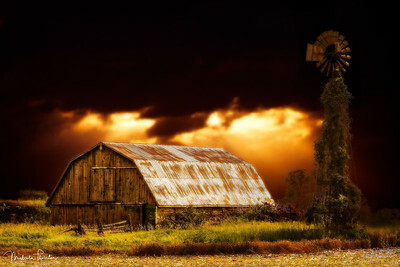 Found this beautiful old barn and wildmill while driving along some country backroads. You never know what you will come across when you are not looking for something. Lake of Bays, Muskoka (Canada) during an early cloudy afternoon autumn day. Image taken from the lookout platform of the Dorset Fire Tower. 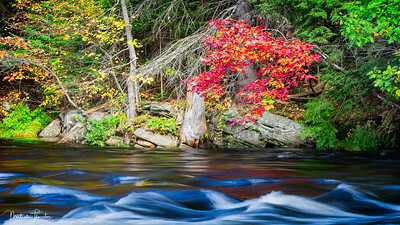 Capture of the Oxtongue River and the wonderful autumn colours, just outside of Algonquin Park and up stream from the Oxtongue Rapids. 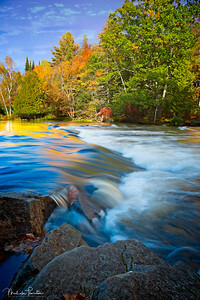 The Oxtongue Rapids, just outside of Algonquin Park, is a beautiful 2km stretch of the Oxtongue River that meanders through the rugged terrain and natural grown forest of the Algonquin HIghlands. 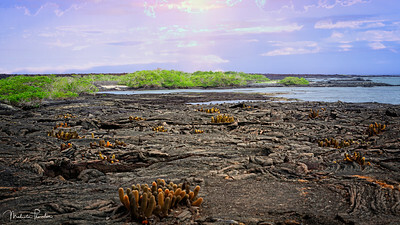 Lava Cactus, endemic to Fernandina Island, sprouting up and creating life on the Lava Beaches created from the volcanic eruptions of La Cumbre. Entering Disenchantment Bay towards Valerie and Hubbard Glaciers you pass the majestic snow-capped Puerto del Desengano Coastal Mountains. 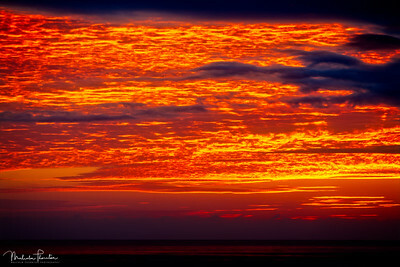 We had just left Kicker Rock, about 2 hours off the coast of San Cristobal Island in the Pacific Ocean, when we were presented with this stunning fiery red sky. The darkness in lower background is low lying cloud cover (not land), and yes that is what the sky actually looked like that night. 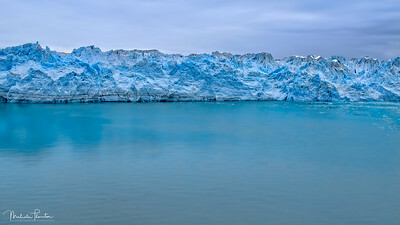 Image of a small portion of Hubbard Glacier, taken from Disenchantment Bay in the Gulf of Alaska. 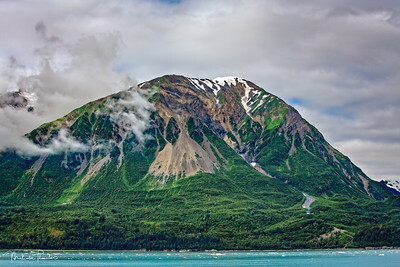 Hubbard Glacier is more than 6 miles wide at the point it meets Disenchantment Bay, with an ice wall that is up to 400 feet tall. 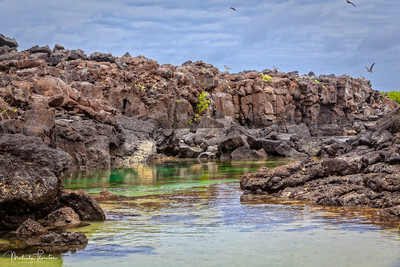 This lava rock tidal pool lagoon, captured at Darwin Beach, Genovesa Island, was full of a vast array of wildlife that included many species of coastal birds, marine iguanas, various crabs, fur seals, fish, and even white tipped sharks. Morning image of Wedge Mountain overlooking Green Lake, Whistler, British Columbia.